How much is Brandon McMillan Worth? 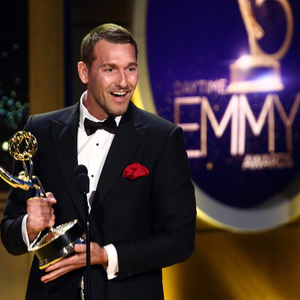 Brandon McMillan net worth and salary: Brandon McMillan is an American television personality, animal trainer, author, and television producer who has a net worth of $5 million. Brandon McMillan was born in Trenton, New Jersey in April 1977. He is best known for being the host and trainer of the television series Lucky Dog on CBS. The show began in 2013 and McMillan is also executive producer. He moved to Los Angeles, California at 18 to work at his uncle's animal training company. Brandon McMillan hosted the TV series NIGHT on Animal Planet in 2009. He has also hosted the documentary series Great White Serial Killer for Discovery Channel's Shark Week. As an author he wrote the book Lucky Dog Lessons: Train Your Dog in 7 Days. McMillan co-founded the non profit Argus Service Dog Foundation. He has won Daytime Emmy Awards in 2015 for Outstanding Lifestyle/Travel/Children's Series Host, 2016 for Outstanding Special Class Series, and 2018 for Outstanding Host in a Lifestyle/Travel/Children's or Family Viewing Program for Lucky Dog. Brandon McMillan salary: Morning educational programs like Lucky Dog don't pay as well as their primetime network counterparts like Big Bang Theory, but they still pay very well. It is likely that in the early seasons of Lucky Dog Brandon made $10-20,000 per episode. In more recent seasons it wouldn't be unreasonable to assume that he makes $50-70,000 per episode. There are around 20 episodes per season, which would work out to $1 – $1.4 million per season.